Why choose the SC GEOS Languages Plus PATHWAYS PROGRAM? Gain work experiences & get paid while you are studying in Canada! Cooperative education (or co-operative education, co-op) is a structured method of combining classroom-based education with practical work experience. A cooperative education experience, commonly known as a "co-op", provides academic credit for structured job experience. Cooperative education is taking on new importance in helping young people to make the school-to-work transition. Students usually get paid during their co-op period (depends on programs). Majors: Communications, Economic & Political Studies, English, Geography & Environmental Studies, History, Psychology, Sociology, Theatre Arts, etc. Graduates gain the necessary skills to provide quality tourist experiences, develop & manage tourism businesses with entrepreneurial spirit, and contribute to community development in a manner that is environmentally, socially and economically sustainable. *From the school: the average wage for Arts and Tourism Co-op jobs is between C$12 - C$18 per hour. This diploma program is designed to prepare students for a variety of careers in the digital media industry. Students explore the primary elements of media project planning and development with equal importance given to the creative and the technical aspects. Strong emphasis is placed on hands-on media production in web development, digital imaging, animation, photography and video. This 2 year diploma program, delivered in a compressed format over 47 weeks, is partnered with Wilderness Tours (Canada`s largest outdoor adventure company) and provides the training, practical skills, and tourism industry experience to satisfy the provincial, national, and international demand for skilled interpreters, nature and ecotourism guides. *From the school: Co-op students' salary could range from $1500 to $3000 per month, or about $10 to $18 per hour. Some employers may also offer a moving allowance. Students will spend 8 months in class learning your craft, 8 months as a registered apprentice at a paid work placement in an FCA dealership, and a final 8 months back at school to prepare for a successful career in the automotive industry. This program incorporates knowledge of both information technology and health care systems, with the added benefit of co-op work experience. You gain these skills through the learning of object-oriented software design methodologies, user-oriented interface design, structure of health care information systems, telehealth, data security and privacy in health care systems. Additional topics include technologies such as C#, Java, Java EE, Oracle, MS-SQL Server, Unix/ Linux, Microsoft's .NET, HTML5/ XML, mobile application development, data warehousing and data mining, BI tools in health care systems and more. Today’s world requires an ecologically sound, sustainable approach to horticulture. In this diverse program students will explore sustainable growing techniques for the landscape, garden, and greenhouse. You will study and research new technologies for producing flowers, fruits, turf and trees. In Acting for Film and Television our intention is to make connections; as faculty to student, as actors to each other and as storytellers to the audience. 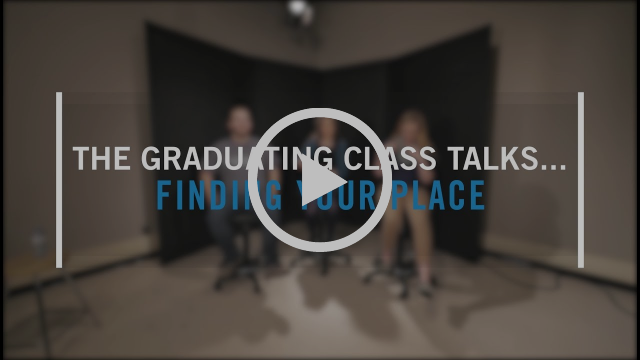 The business of Film and Television is diverse and ever changing and this program's focus is on you and your employability. The curriculum and the opportunities available to you within this program provide you with a solid foundation and all the tools you need to become the actor/entrepreneur that today’s film, television and online media industry demands. Read about our University Pathways program, ask us for more co-op programs from our partner institutions, Direct Entry option may available!